British Prime Minister Winston Churchill announces the unconditional surrender of all German land, air, and sea forces in Europe. On 7 May 1945, The Act of Military Surrender was accepted and signed by the German High Command in Rheims, France, and ratified in Berlin the following day. 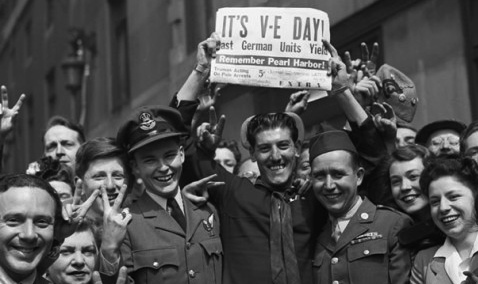 This marked Victory in Europe Day, formally ending the reign of the Nazi regime. Yet the war was not over. As Churchill emphasizes, many toils remained.